Compact, proven unheated gauges for cost-effective vacuum measurement. 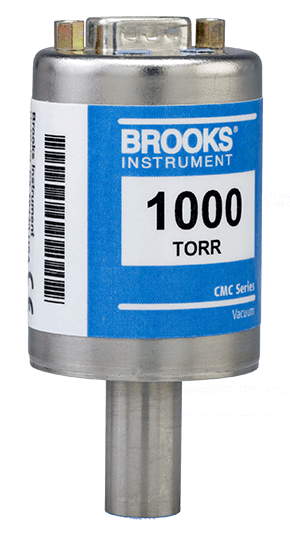 CMC Series capacitance manometers from Brooks Instrument deliver reliable, accurate vacuum measurement over a wide range of operating temperatures, providing an economical alternative to larger premium unheated gauges. Its compact design and proven performance make it an ideal upgrade for existing tools needing a small form-factor gauge. Reliable and repeatable operation is assured in even the most aggressive processes through the all-welded design and Iconel® wetted surfaces. The combination of precision components and a wide temperature compensated operating range lets Brooks deliver best-in-class zero and span temperature coefficients for optimum measurement stability.